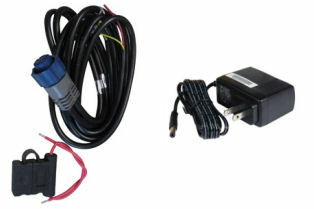 We combine the Lowrance PC-30-RS422 and the 120v-12v power converter to use your Lowrance units inside. We add the connectors to the cords for you so you are ready to go out of the box. Due to the power requirements of the new HDS units, we had to raise the price of our power cord to accomodate the cost of larger power converters.